Anyone else out there a pushover for chocolate desserts that legit healthy? Me too – so I made this dairy free chocolate pudding just for people like us! Magnesium – half the recipe provides about a third of your daily needs, thanks to the raw cacao and almond butter! Protein – there’s a whopping 18 grams of protein in half the recipe! Gut healthy – collagen hydrolysate is one of my favorite ways to slip a little gut health boost into recipes like this without anyone knowing! And, wait til you taste it! I’ve always loved chocolate pudding, and this is a major upgrade on those Jello pudding cups I ate as a kid! Oh, and here’s a little pro tip – If you pop it in the freezer for 20-30 minutes before you serve, you’d have this beautiful cross between pudding and frozen yogurt. Amazing. ???? 1/4 cup cold water or chilled coffee! Optional garnishes - fresh raspberries coconut shavings, mint sprigs, etc. Place all ingredients in the order listed into a high powered blender. Blend on low until combined, then gradually increase the speed, stopping to scrape down the sides with a spatula as needed, until thick and creamy. Divide between two serving cups and chill until ready to garnish and serve. Each serving is approximately 8oz. Check out these other favorite healthy desserts! Am I missing something I don’t see almond butter in the recipe? Thanks! Thanks for pointing that out, Rose – I just added the 1/4 cup almond butter! Oh my goodness. This is sooooo good!! I’m going to have trouble not eating the whole batch. I subbed a few things too and it’s still great. No vanilla (I’m out! ), peanut butter instead of almond, and cocoa powder instead of cacao (I think they are different). My 4 year old approves too. He had fun helping me make it. I would have never thought to put them in the freezer before eating. That’s genius!! Yes, PB should work just as well. Enjoy, Karyn! Goodness me. 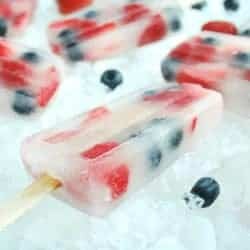 These looks delicious . A chocolate pudding that can be superfood – I will not be able to resist this at all. I love that this is dairy free and it still looks so creamy and you would never know the difference. Pudding is a childhood favorite for sure! Oh! My! Goodness! A pudding that I don’t have to feel guilty about. I have coconut milk and cream on my grocery list. This is one guiltless dessert that I have to make. I’ll even stick it in the freezer for a bit like you suggest. Yay! I know you’ll love it, Marisa! This sounds so light and refreshing. We love almond butter so this would definitely something I can try and my kids would enjoy it. I like the idea of freezing it for a bit too. Can’t wait to try it. Hope your family loves it as much as we do, Veena! Mmmm….I look forward to making this chocolate pudding recipe for a brunch spread that I’m planning. Thank you so much for sharing this dairy-free recipe – a few members of my family must maintain dairy-free diets.